Employers in Malaysia will only have to pay 20% of the annual RM10,000 levy for each foreign worker who has been employed for more than 10 years, said finance minister Lim Guan Eng, during his keynote speech REHDA Institute CEO Series 2018 (Annual Property Developers Conference) on Monday (24 September). 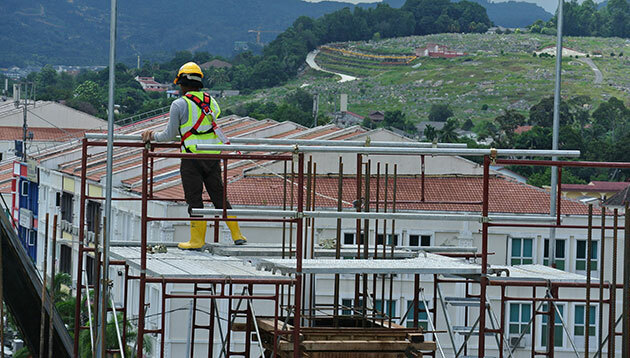 The policy is only applicable for skilled foreign workers who opt for a permit extension of a maximum of three years, Lim said, as reported in The Edge Markets. As of now, employers pay the entire RM10,000 levy a year for each foreign worker, according to New Straits Times. In December 2017, Malaysia Human Resources Ministry released a statement indicating the implementation of a new policy,where all employers must bear the cost of levy payments for new foreign workers as well as foreign workers who have renewed their Temporary Employment Visit Pass (PLKS). “We have received complaints and we understand that this (levy) is quite a heavy burden, so we have tweaked it to a 80-20 share, (under) which 20% [is to be borne] by employers and 80% by foreign workers,” Lim said, as reported by The Edge Markets. The levy will enable the government to collect about RM1 billion in revenue for about three years, he added.